You are here: Home › ALL BLOGS › Local Government elections to hold in June. Local Government elections to hold in June. 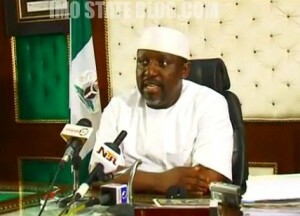 Today in Owerri, Governor Rochas Okorocha announced that Local Government elections will be conducted in June this year to elect Local Government Chairmen and Councillors. The Governor has also requested that the State House of Assembly put up the Local Government laws without delay for the June election. 3 Responses to "Local Government elections to hold in June."